Promoting employment by setting up/scaling up sustainable agricultural businesses in Africa through cooperation between Dutch and African farmers. Co-farming an exceptional pilot project in which young Dutch and African farmers work together in setting up/developing ecologic farms in Africa. 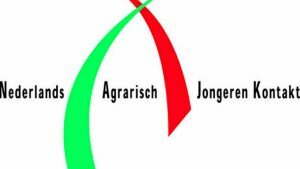 NAJK (Nederlands Agrarisch Jongeren Kontact) and Africa In Motion join forces in this program. This cooperation on the one hand promotes employment and food security in Africa, and on the other hand creates the opportunity for a Dutch agricultural entrepreneur to set up a successful enterprise in Africa. A win-win situation! Dutch farmers have a lot of knowledge and expertise in the field of sustainable agriculture, that they can share in other places in the world. Moreover, the development possibilities in the Netherlands are limited. It is to be expected that the regulations for agricultural businesses will increase, and as a result the possibilities will be reduced even further. Also, the income has been low for years. Each day an average of 6 companies close down. On the other hand, there are plenty of young entrepreneurs who want to start/take over a business. There are four times as many young people hoping to take over a farm as there are farmers offering their business for take-over. In Africa there is a strong need for expertise for the development of sustainable agriculture. This will increase employment and food security. Both entrepreneurs need each other. The Dutch entrepreneur needs the African one to get acquainted with the new market, the needs of the local population, the culture, the language, and the traditions of the country. The African entrepreneur needs the Dutch one to get acquainted with new expertise and technologies in order to serve the fast-growing African market. 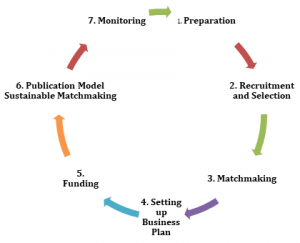 It is precisely through linking the entrepreneurs to each other that the potential of both sides is optimally utilised.